Have you been involved in a Car/Truck Accident? Car and Truck Accidents are one of the leading causes of Personal Injury in Georgia. For nearly 40 years Arrowhead Clinics has treated patients who have suffered a wide range of injuries due to Car and Truck Accidents. In many cases, these injuries deeply impacted their lives, causing significant pain and reduced mobility. At Arrowhead, through careful chiropractic and medical care, we tailor our treatments to address each patient’s unique conditions, pain levels, and needs. In addition, we take care to provide the proper documentation of injuries, detailed narratives and daily reports the insurance companies and attorneys need for the proper resolution of your claim. Without that documentation you may not get all the money you deserve for your injuries. Why Is It Essential to See a Chiropractor After an Auto Accident? Every individual involved in a car accident should see a doctor or chiropractor following the crash. Even if you don't have any visible injuries or pain, you could be suffering from underlying injuries. It is often the case that car and truck accident victims do not notice their injuries because symptoms do not become present until days or weeks later. This is often due to the release of adrenaline following the accident. It is the body's natural coping method to help deal with the stress and trauma of the event. Therefore, whether you feel pain or not, you could still be injured and it is essential to address those potential injuries before permanent damage is done. For example, Cervical Acceleration/Deceleration Syndrome, or whiplash, is a serious condition that if not treated can lead to debilitating chronic pain. It is caused by a rapid acceleration and deceleration of the neck and back that creates severe strain to the muscles and soft tissue surrounding the spine. In addition to looking out for your own physical health, waiting too long to seek treatment for your injuries can also be detrimental to your car accident injury case. The insurance company will argue that your delayed injuries were caused by another event that was not the accident. Do not give the insurance company an excuse to not payout the settlement you deserve. Make the right choice for your physical and financial health and see a chiropractor today! 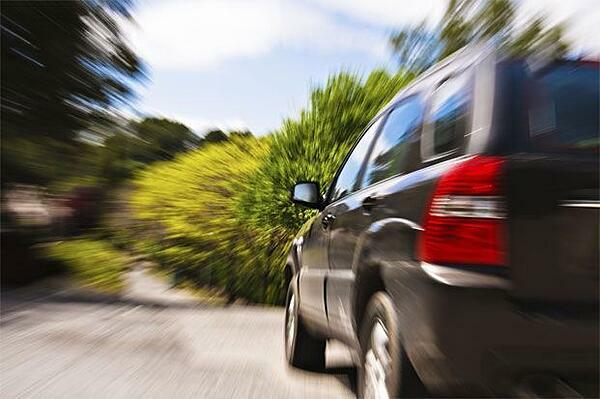 We understand that the first moments following an auto accident can be extremely stressful and even confusing. Well, that is why we are here to help guide you in the right steps to take after a motor vehicle accident. First, it is important to move to safety, especially if the accident happened on a busy road or intersection. Your health and safety is top priority, so make sure to take care of yourself and others at the scene of the accident. If necessary, call an ambulance for injuries you or others have suffered. Once you are in a safe area, be sure to call the police. Not only do you need to obtain a police report, but they will also be able to direct traffic and manage towing if that is necessary. When the police arrive, they will assess the scene of the accident write a police report and then ticket the at-fault driver. This police report and ticket will be essential in proving negligence and fault in your personal injury claim. It will be extremely difficult to fight the insurance company and receive the compensation you are owed without this documentation from the police officer. While you are waiting for the police arrive on scene, you can be proactive and take photos of the damage and position of the vehicles. We even recommend photographing any visible injuries you sustained in the crash. Also, if there were any witnesses to the wreck, gather their contact information because their statements may end up being valuable if the insurance company attempts to deny fault. Always call the police and have an accident report filled out. Take pictures with your cell phone if possible. Call Arrowhead Clinics to get your injuries treated and documented immediately with a chiropractor or medical doctor. If you have recently been injured in a car or truck accident, you need to be evaluated by a professional chiropractor who specializes in diagnosing and treating musculoskeletal injuries caused by motor vehicle accidents. Call 800-961-7246 now or click on the button below to schedule your free car accident injury consultation with the chiropractor at Arrowhead Clinic. WE CAN HELP YOUR PAIN! Watch Our Video. Have you been injured in accident that was someone else's fault? We can help you get the justice you deserve.